Many years ago, a community I founded began a non-membership course. At the end of 8 weeks, everyone received a card that proved they were not a member. The title was playful, but the idea was not. We were committed to creating a space that helped people embrace doubt, unknowing and complexity while protecting against group think and the danger of closed communities. It provided tools designed to help in the difficult process of unpicking our past. Tools that came to be known as Pyrotheology. Recently, I've revived this project by creating an online space where people can experience these ideas in their hearts and minds. A space populated by talks, book studies, discussion forums, weekly reflections, courses and more. To do this, I've employed the Patreon platform. 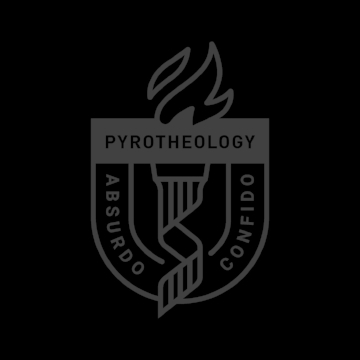 If you'd like to support my work, engage with the theory and technology of Pyrotheology and contribute to its future, then I hope you consider jumping on board. But don't worry, I'm as committed as ever to creating free content. In fact, it is Patreon that's helping me do that! For $1 or more, you'll get weekly posts from me on a whole range of issues. We'll delve into philosophy, theology, politics and the personal. All designed to help you think, live and love. I'll be writing new material as well as sharing reworked reflections from a blog I ran from 07 - 17. For a few dollars more you'll get everything from the previous reward level as well as monthly seminars. These include talks, discussions and interviews that explore my work and how it can be applied. I'm also happy to try and put you on the guest list for live events in your area. On top of previous rewards you'll get installments of my next book! Not only will you get to see everything - including what doesn't make the final cut - you'll also get a signed copy of the book when it's published (just be sure to be signed up at that time)! I'll be aiming at weekly releases (although I might take longer if I'm suffering from writer's block). In addition to the previous rewards, this tier gives you access to all the online courses I've run to date. This amounts to over 20 hours of material and will continue to grow. You'll also get access to courses like Atheism for Lent, The Omega Course, and Friendly Fire. In addition to this, you'll have exclusive access to book studies I run throughout the year. This top tier gives you everything. Plus I'll send you an audiobook of The Orthodox Heretic, some Happy Reaper and Absurd Cross Pins, Rapture Tracts, Parable Pencils and a signed book with a personal thank you message. I'll also send you anything I create in the future. That means you'll be the first to get my comic Enduring Love, my film script, access to the film Making Love and any future books. You can also expect the VIP treatment if you attend an event I'm running (just let me know in advance and I'll put you on the guest list).